pictured here with Dr. Mary Suzuki, Superintendent, and Mr. John Goepp, Governing Board President. Bear Valley Unified School District Lighthouse Young Artist Ensemble and Philharmonic Orchestras were recognized Wednesday evening May 16, 2018. 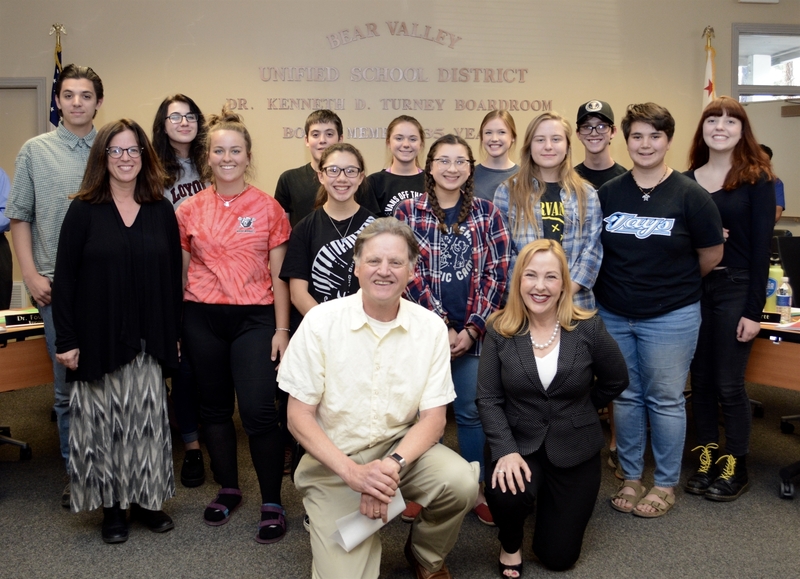 In Recognition for their award-winning stellar performances and First Place wins, two Award-Winning Youth Orchestras were acknowledged by the Bear Valley Unified School District Board of Trustees at the Forum Festival Judges' Invitational Competition in April 2018. The two orchestras swept the competition of eleven other orchestras from California, Nevada, and Arizona. The Big Bear Valley musicians are determined to continue their streak of excellent concertizing under the baton of Director Sharon Rizzo!